Ohio is an equitable distribution state, so Ohio courts divide marital property equitably between spouses in a divorce. However, an equitable division is not necessarily a 50/50 split. To determine what property distribution is equitable in an individual case, judges use a list of factors determined by Ohio law. 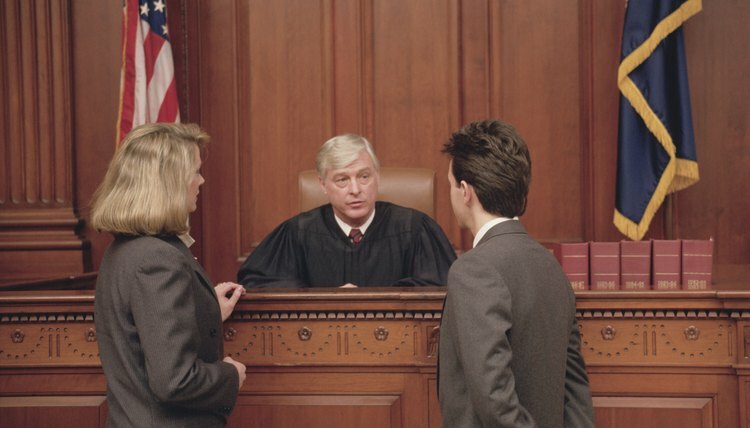 One of the factors judges consider is the length of the marriage, though a judge may consider any relevant factors before making his decision. For example, an Ohio court could give one spouse a greater share of the couple's assets so the other spouse can keep the martial home or because one spouse assumed more of the family's debts. Though Ohio does not have any firm rules for how property should be divided if a marriage lasts a certain length of time, judges tend to divide property and award alimony in a way that allows both spouses to share in the economic upheaval that comes with divorce. For example, if a spouse in a long-term marriage stayed home to raise the couple's children, her financial status could be negatively impacted by the divorce since she must now attempt to establish a career. As a result, the court may give her a greater share of the couple's property as a way to help balance the career and income inequity between the two spouses and give her a better start. Couples in long-term marriages may have many more assets to divide than couples in short-term marriages, so a longer marriage may mean a more complicated division of property. Ohio courts have authority to order one spouse to pay alimony, or spousal support, to the other after they divorce. Ohio is somewhat friendly toward alimony, particularly if a marriage lasted a long time, but 10 years is not necessarily considered a long-term marriage, depending on the judge. Though there is no marriage length at which alimony is automatic, Ohio judges frequently award a year of alimony for every few years the marriage lasted. Ohio courts also have authority to divide each spouse’s pension and retirement benefits as part of the divorce decree. If a divorcing couple was married for 10 years and a spouse contributed to his pension or retirement plan over that 10 year period only, the court may divide the entire value of the pension or retirement account between the spouses. However, if a spouse contributed to the pension over 25 years, only 10 of which were during the marriage, the court can only divide the portion of contributions that were made during the marriage itself. The contributions made outside the term of the marriage are considered the contributing spouse’s separate property.